The Rangers defeated the Carolina Hurricanes, 3-2, tonight at RBC Center for their third straight win, and are now 12-3-2 in their last 17 games. CONGRATULATIONS TO A GREAT GUY! Posted on October 13, 2011 | Comments Off on CONGRATULATIONS TO A GREAT GUY! 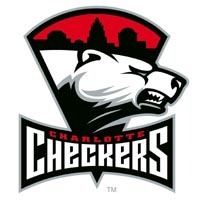 We’ve had the good pleasure of speaking and working with Michael Kahn, the owner of the Charlotte Checkers, who today became a part-owner of the Carolina Hurricanes. Mr. Kahn is just an absolute pleasure to deal with and one of the smartest people we’ve ever had the good pleasure to deal with in hockey. I know this was something that was a goal for him and something he really wanted so we wish him all the best. Comments Off on CONGRATULATIONS TO A GREAT GUY! 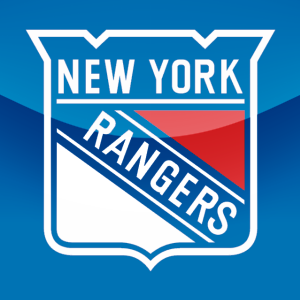 * The Rangers defeated the Carolina Hurricanes, 4-3, in the shootout tonight at RBC Center to improve to 32-26-4 overall, including an 18-13-1 mark on the road. RALEIGH, NC – Jim Rutherford, President and General Manager of the National Hockey League’s Carolina Hurricanes, today announced that the team has recalled forward Zach Boychuk from the Charlotte Checkers of the American Hockey League (AHL). RALEIGH, NC – Jim Rutherford, President and General Manager of the National Hockey League’s Carolina Hurricanes, today announced that the team has reassigned forward Zach Boychuk to the Charlotte Checkers of the American Hockey League (AHL). RALEIGH, NC – Jim Rutherford, President and General Manager of the National Hockey League’s Carolina Hurricanes, today announced that the team has recalled forward Zach Boychuk on an emergency basis from the Charlotte Checkers of the American Hockey League (AHL). RALEIGH, NC – Jim Rutherford, President and General Manager of the National Hockey League’s Carolina Hurricanes, today announced that the team has reassigned defenseman Brett Carson to the Charlotte Checkers of the American Hockey League (AHL). Carson was recalled from Charlotte on an emergency basis on Dec. 31, and played in Carolina’s last four games.